It is no secret that I tend to favor Febreze over other home fragrance brands. 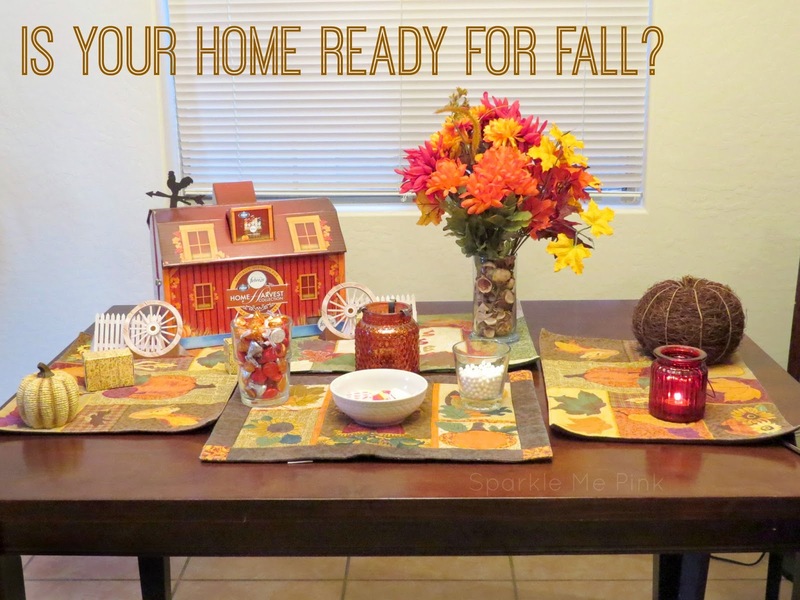 Not only are they affordable and I can find them at just about all of my regularly visited store but they come out with some fabulous seasonal collections. See what came out last season. 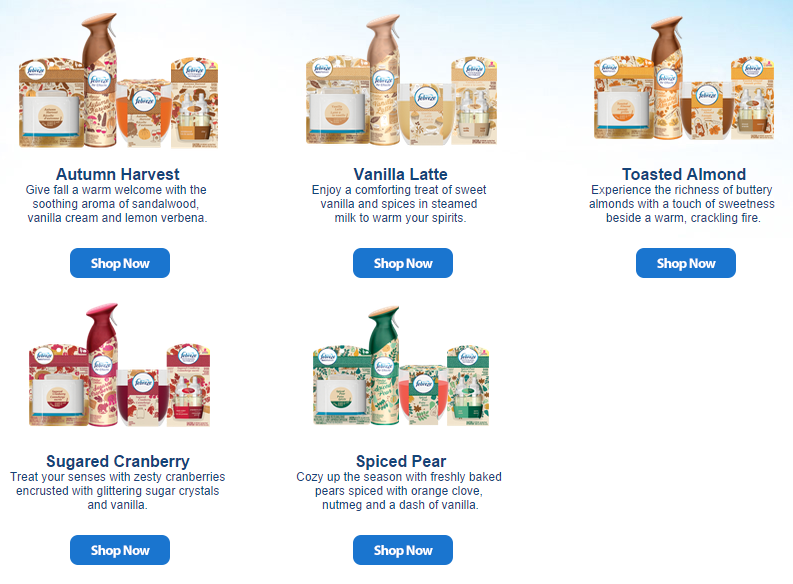 Febreze has come out with 5 Limited Edition Fall scents : Toasted Almond, Sugared Cranberry, Spiced Pear, Vanilla Latte and Autumn Harvest. I personally own a Toasted Almond candle, which I burned during a 'Moms Night in Party' I held last week. Everyone LOVED this candle. I actually know for a fact that some of the girls went out and purchased their own of this candle, it's that good. 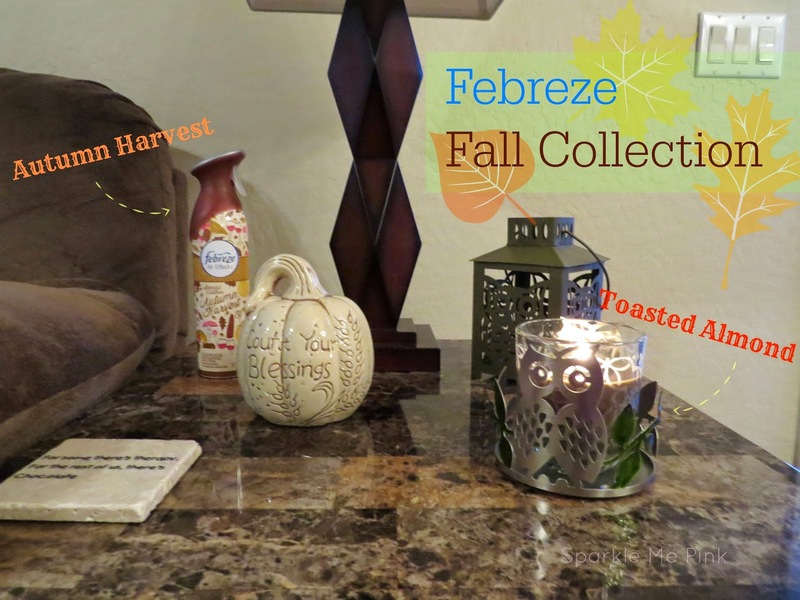 I also have a room spray in the scent Autumn Harvest, this is a very warm home-y scent. I was only able to find this Fall Collection at Walmart. At one Walmart they were in the regular 'home fragrance aisle' and in another they were in a cute card board stand. 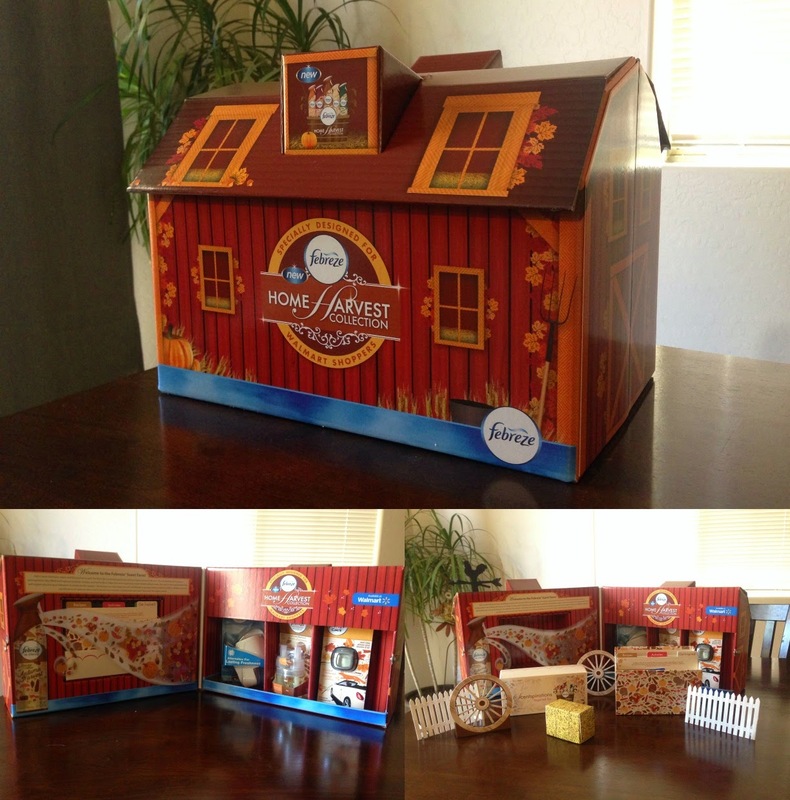 Then in this adorable barn kit that SheSpeaks sent me there was a car plug-in in the scent Toasted Almond. As well as 2 dual scented wall plugs in the scents: Autumn Harvest which has Chai & Sandalwood and Vanilla Latte which has Vanilla & Sugar. I had the Autumn harvest duo plug in the bathroom and it was so yummy each of the ladies took a turn taking a whiff of it. What scents remind you of Fall ?